Quite simply the best game and roe deer rucksack on the market. 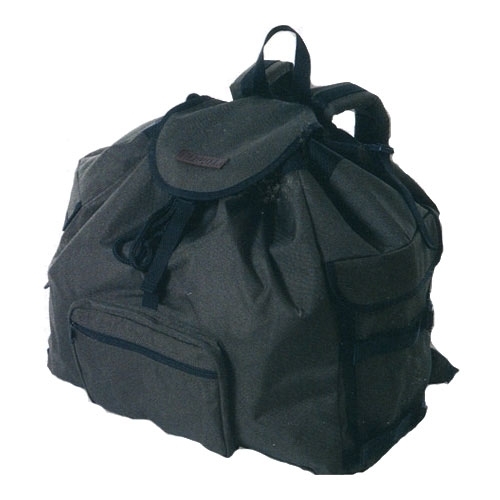 Padded back and shoulder straps and big enough for 2 small deer or numerous small game. When empty the sides can be folded in and fastened to narrow the profile whilst stalking in dense forest. Inside there's a removable inner sack in strong PVC which is easily removed and cleaned. Pockets are waterproof. Not fit for purpose - I also had 2 of these and both times the shoulder straps tore away from the bag when carrying a gralloched Roebuck. I now use the Napier which is not so elegant but is sturdy. I have had two of these and the seams have split in days of use. Avoid!